Looking for something out of the ordinary this Valentine’s Day that’ll surprise and delight your partner? In keeping with the romantic tradition of sweethearts attaching padlocks to iconic public structures around the world to immortalise their commitment, the Bell Tower is running its own special Valentine’s Day Love Lock promotion which has the added attraction of some incredible prizes. Couples have always been able to buy beautiful love locks from the Bell Tower, have them engraved and then attach them to a permanent chain at this landmark location, but if you buy your love padlock by the 14th of February, you’ll go into the draw to win a gold and pearl pendant or a romantic beach getaway. The love padlock tradition is said to have originated in Asia and is now widely practiced around the world with the most famous location naturally being the City of Love, Paris! Lovers would write their names on a padlock to symbolise their passion and then throw the keys into the Seine so that nothing would ever break their bond. The practice did however, become a victim of its own popularity and in recent years, Parisian authorities have removed tonnes of locks from bridges over the Seine over safety concerns, selling them off to raise money for charity. But that’s Paris - and this is Perth and you can be assured that the tradition is as strong as ever and that your declaration of your everlasting love will be ‘locked in’! So swap the Seine for the Swan and get in quick and order your beautiful engraved love lock from The Bell Tower for a chance to win some incredible prizes. 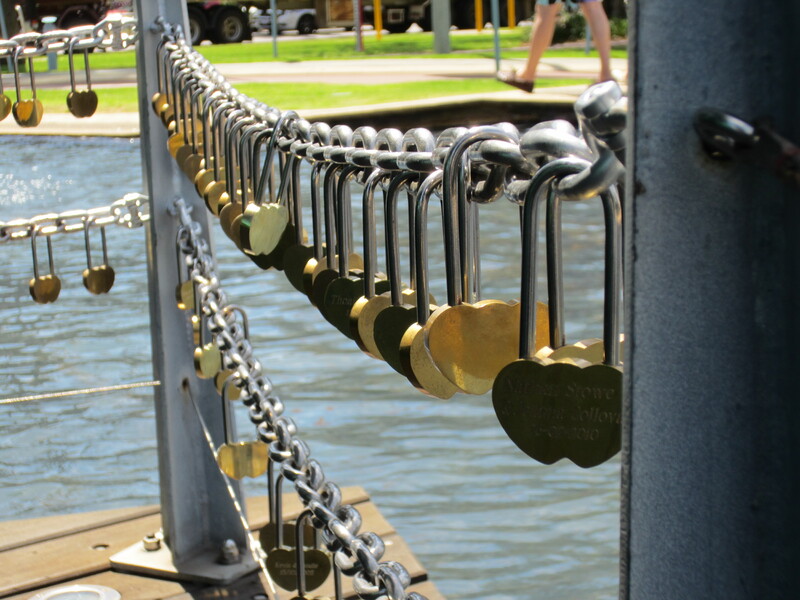 But even if you don’t walk away with a piece of gold jewellery or a weekend retreat, your Love Lock will be a winner forever, on display for all to see at its stunning location at the Bell Tower overlooking Kings’ Park and the beautiful Swan River. For more information or to order your Love Lock online (with free delivery until the 1st of February and a beautiful folder included), visit www.thebelltower.com.au or call The Bell Tower on 08 6210 0444 for more information. Looking for something out of the ordinary this Valentine’s Day that’ll surprise and delight your partner? The Bell Tower is running a Valentine’s Day Love Lock promotion which has the added attraction of some incredible prizes.